My boys recently tested out Philips Avent's four-stage toddler range – featuring everything from bottle trainers to grown-up cups. Each of the four unique stages features a variety of drinking options and teach a new skill as children embark on their journey to independent drinking. 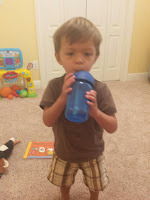 Previously, we've been using Avent's My Penguin Sippy Cups that provide 100% leak-free drinking, but we're now ready for the My Twist 'n Sip Straw Cups and Philips Avent My Natural Drinking Cups. My boys took to the straw cup easily, but are still mastering the natural drinking cup without turning it upside down. I especially like that unlike the previous straw cups that I was using, the Philips Avent cup has a locking system that bends the soft silicone straw back into the cap for on-the-go and preventing leaks. Right now the Twist N Sip Straw Cup is available now Online or at Walmart for $8.99 for a 2-pack. To help parents discover which might be the best fit for their toddler, Philips teamed up with Scholastic to create “Sip, Sip, Hooray,” a story of several toddler friends and a mischievous Mama “Sippopotomus” who’s hunting for the perfect sippy cup for Baby “Sippo.” You can read the story digitally here. The last few nights, my boys have had me read it to them. They get excited when they spot the sippy cups that they are using in the illustrations. Enter below to win the full Philips Avent toddler cup range as well as a hard copy of the book “Sip, Sip, Hooray.” Good luck! 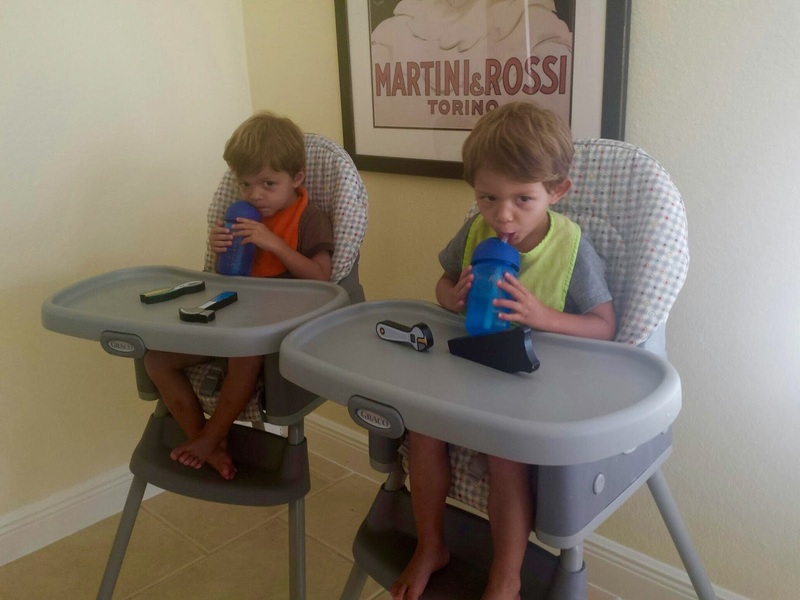 The trainer cup would be great for my 4 month old soon, and the straw cup would be perfect for my 3 year old! The stage 1 trainer cup would be perfect for my son! My son needs a stage 4. My grandchild needs the Trainer Cup for just learning. The stage 1 trainer cup would be great for my son! Stage 4 for my little guy!